Last night I remembered some long tedious brainstorming sessions in my previous work, trying to find out solutions to some specific problems for adding value to the existing projects. It was difficult discussions and an even more tiresome procedure, as a whole, held informally, about once a month among the senior consultants of my former company. The point was how to enhance our services and provide more value to our clients. A secondary objective for us was to develop some new line of products and services to diversify our company to our market and provide a competitive edge in our niche market (primarily e-Business & e-Learning)! We were moving to the edge of the known offerings, in a marginal small market with a small gross product to be distributed among the contestants. Innovation might do the trick, but the ideas and the implementation were not always easy. Ideas were not cheap and they do not come easy! We were needed more and more specialized idea engines to produce a storm of promptly implemented solutions in a cluster of problems. Ideas are everywhere and can be produced by various mechanism! It just needs a little bit ingenuity! The point was not how to get more profit or gain a bigger market share, but to survive as a company and an organization. It was more important for us, as an organization, to stay afloat without to be forced to release people! We had experienced the same thing many European companies experienced at the time. The implications of a prolonged stagnation in the economy cutting our the marginal profits and shrinking our share in our niche peripheral market. Inflation is a particular difficult partner. Involves a different business approach and methodologies to help you see the market in different “eyes” and discern the existing opportunities (or to develop new opportunities for your organization). The present economic conditions dictates an alternative view of the market and of the existing business ecosystem, “special (and specialized) operations“ vertical and horizontal tactics, a near complete transparency to decisions processes and on the markets, a persistence in quality and value provision and close calls to every available opportunity may appear or you can create! One particular viable idea was the development of a corporate idea cluster connecting and transacting idea nodes! This particular formation has involved the establishment of a wiki for all employees in which all would contribute ideas, comments, and suggestions under a loose organization; namely the cost centers of the corporation. The scheme was coupled with the ownership of the output for every employee and the accountability this would bring along to every person. This “pen and sword“ approach was mandating that every employee was responsible for finding out the required information and resources for his/her work, set his/her objectives and validate them along with his/her supervisor. This approach allegedly would provide a collective knowledge hub that would process & promote only the most fitted ideas for our organization. The approach was heavily influenced by the technologies and procedures developed in genetic algorithms and fuzzy logic fields, as processed and elaborated by many successful business paradigms (as the development of collaborative environments – wikis with the Wikipedia as the most elaborate example – and knowledge hubs). This “internal project“ provide some good ideas that help the company to initiate some more strategic movements in the market and leave it in a better place in its niche market! So by all intended purposes this initiative was successful and provide excellent results. But it has not a continuation since it puts a lot of work to the employees. And inevitably, after a while, it has abandoned. In any case though as a proof of concept (POC) was very successful! 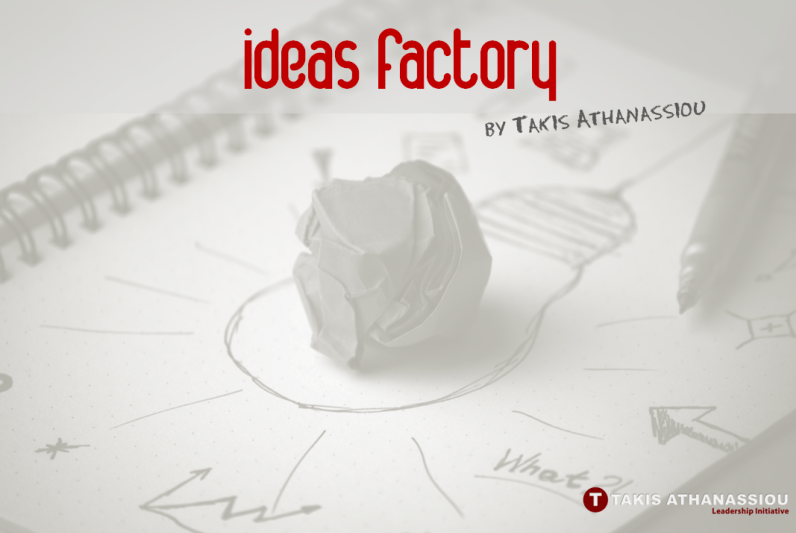 Question: What do you think about these ideas factory? Are you willing to employ a scheme as this on your own organization? 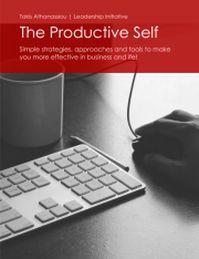 Do you think you can implement in your own premises and if so what advantage you can gain? You can leave a comment by clicking here.